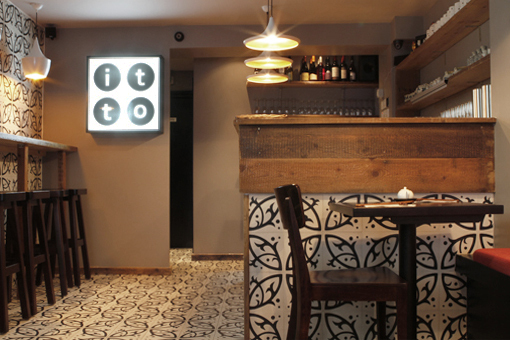 ITTOS Oriental Restaurant and noodle Bar, Stoke Newington, London. As our first commercial interior fit-out, this project was a joy to work on. In conjunction with Relic Interiors, we created a bold but welcoming space. 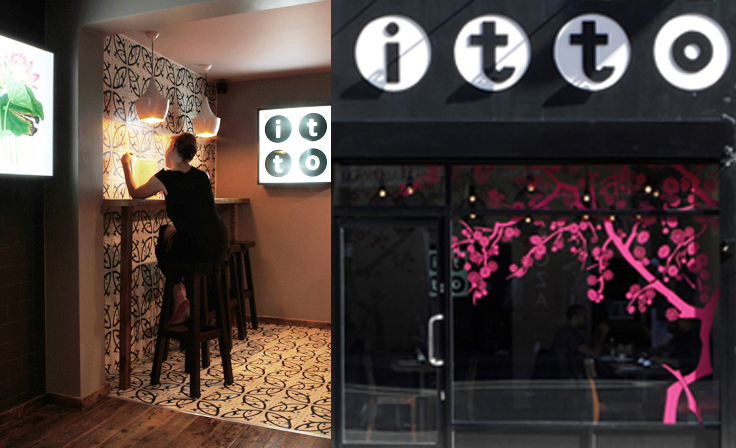 Making its mark in an area dense with competition, we designed a space that stands out without being too shouty. 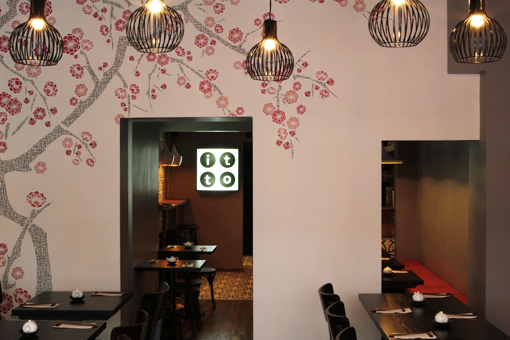 Bold graphics create interest but are soft, with dappled lighting and new comfortable furnishings. We re-modeled the interior space to allow for a bigger bar and more desirable seating areas to the main space, with the addition of a takeaway ‘perch bar’. Since its opening last month, our clients have been delighted as it has been packed out every night.